No matter what your expertise in gaming there is always another way to interact with you digital entertainment. Either through more games in the series, plush based on characters or construction sets to further expand your in the game setting. The later being my personal favorite because then little ones can use all kinds of other characters to join in on the fun. 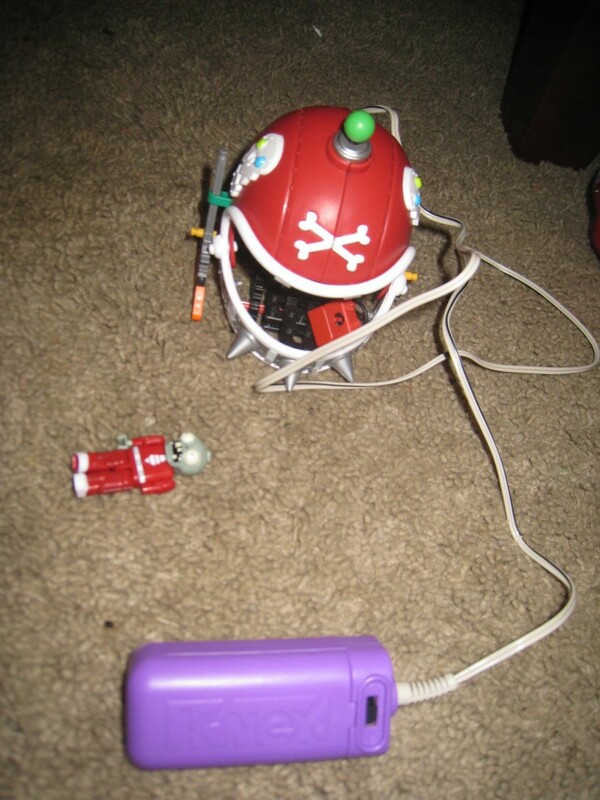 Today we are looking at a few of the newest K’nex toy lines associated with video games. The games are Super Mario 3d world, Plants vs Zombies and Titanfall. The list may seem to have big difference between one another but one of the common threads between them is fun and K’nex. K’nex are America’s number one building set with unique shapes and snapping pieces with bring your imagination to life. Not only are there bricks and struts to use but also big flat swatches that almost look like stretched plastic to hold the pieces together. From Mario’s platforms to a walking zombie-fied football helmet the possibilities are only limited by your imagination. Plants Vs Zombies follows the story of a person trying to protect their home from hoard upon hoard of zombies using nothing more thtne plants ina yard. But these plants fight back. The toy line expands on familiar characters and settings and includes some nifty articular figurines as well who fit right inside of vehicles and make play time all the more fun. Super Mario 3D World sets include our ever loved main characters along with an enemy and even a few gold coins to bounce around with. My favorite part of this set is the ability to actually fling Mario around so his high jumping ability is transferred easily to the physical world. Titanfall is the big boy toy of the group. Based on the hit Xbox One game Titanfall in which the player enters battle mechs and destroys their enemies. 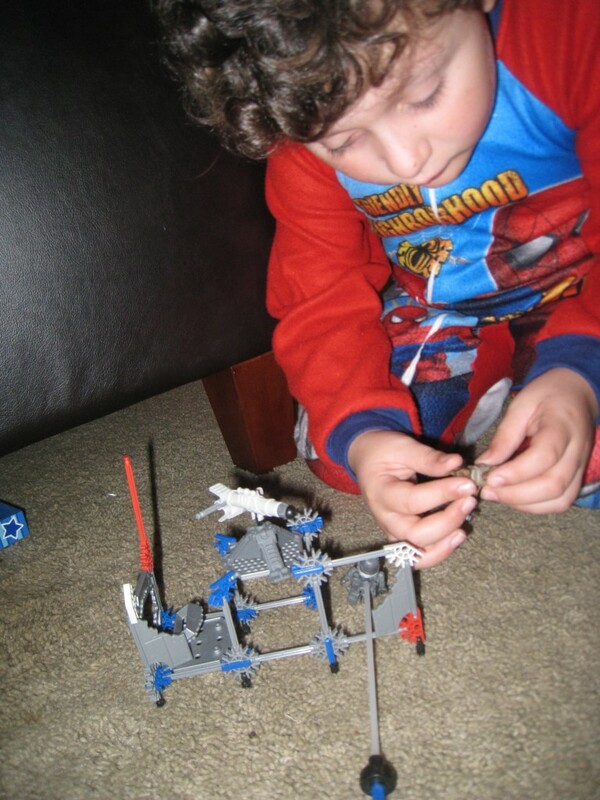 This set is a shoe in for creative usage of the K’nex. You can build your own Mech as well as fire missiles and fight hand to hand with the enemy. Each set by itself is a blast to play with, but there is nothing quite as fun as having Mario bounce on a zombie’s head while dodging missiles and Mech suit fighters. So whatever your idea of a fun game is, be sure to check out their K’nex counter part to add some extra life to your games. One of you will be able to win one set from K’nex- feel free to enter using the RC form below. Good luck! Ends Oct 31, 2014. I would give it to my nephew. He would love it! I would give this to my Godson! He would love it so much! I would give this to my friends son. My grandkids would love this. I have two wonderful grandson’s who would love to play with this. They are very creative and it would be exciting to see them with it. I would give it to my son. He loves building with Knex. I would love to win this for my sons. They love building things. i would give this to my son. he loves building and i think it is perfect for his age. I would love to give this prize to my son. I am excited! I hope I win the prize. I would give this to my son. He loves to build things and likes k’nex a lot already! My daughter would love this! It would be a great Christmas gift! if i won, i would give this to our son, he would love it. My Grandson would love to have these! He builds with everything he gets his little hands on! I hope I win! My nephew loves building sets. I would love to win the Knex prize for him. I think my grandchildren would love playing with these! 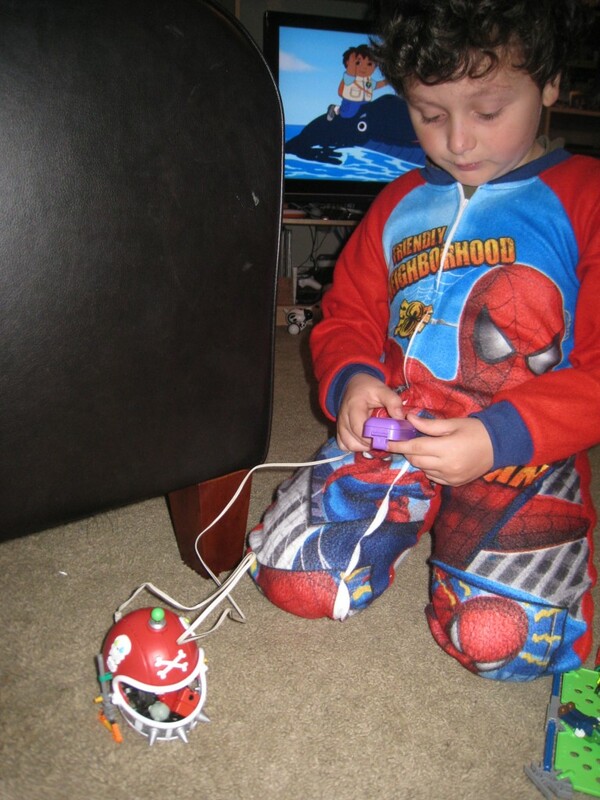 We love the K’nex toys and would be excited to win! I would give this to my kids. They love to get creative and build. I think my niece and nephew would really enjoy this k’nex building set. The nice thing about k’nex (or other building sets like Legos) are they challenge a child’s mind and creativity, in addition to being fun! I would absolutely love to win this for my little girl. She loves putting them together almost as much as i do lol. i would give this to my daughter kelsey for christmas. I will give it to my son. He really has fun building stuff so I think he would like it. ” I am excited! I hope I win the prize”. I would like to win this prize for my son, I know he would enjoy playing with it. My kid love Legos and I have been wanting to get them Knex. I am sure they would have fun with this set. When my son gets a little older I am sure he’ll LOVE it! This would be for Josie. She is a creative one. I’ve got 2 boys. For this particular item, would probably give it to the 7 year old. He’s becoming more and more interested in things outside of games and phone apps so I’d run with that! I would give this to my son…He loves building things…Good luck all! Thank you for the chance! My niece and nephew would love this, they are huge Knex fans and it is a great way for my to connect with them and do fun activity with them since I don’t get to see them often! Fingers are crossed. I would give this to my nephews for Christmas. My grandson would be getting that. He loves playing with blocks and we had the K’Nex when my girls were little and I know he would love these too! my nephew loves building with legos so I know he will love these as well! I am excited! I hope I win the prize. My daughter would love to build and destroy with this toy. If I win, I will give this to my daughter, Charlie. I am excited! I hope I win the prize. I would give it to my son. I would give it to my grandson. I am excited! I hope I win the prize. My son’s and daughter would love to play with k’nex. They like building lots of different things and are very creative. I would give this to my youngest son. He loves building things. My friens’s kids would love this I think. I am excited! I hope I win the prize for my two little grandsons. My nephew would love to have it. I have two little boys who would love this! We don’t have any K’nex right now. Thanks for a fun giveaway! My niece would love this prize. She loves building things, taking them apart and putting them back together. i would give this to my son. he would love to create things with it. I am so excited, I hope I win. My granddaughter would love to have a Knex set to play with. I would love to win this for my oldest son. 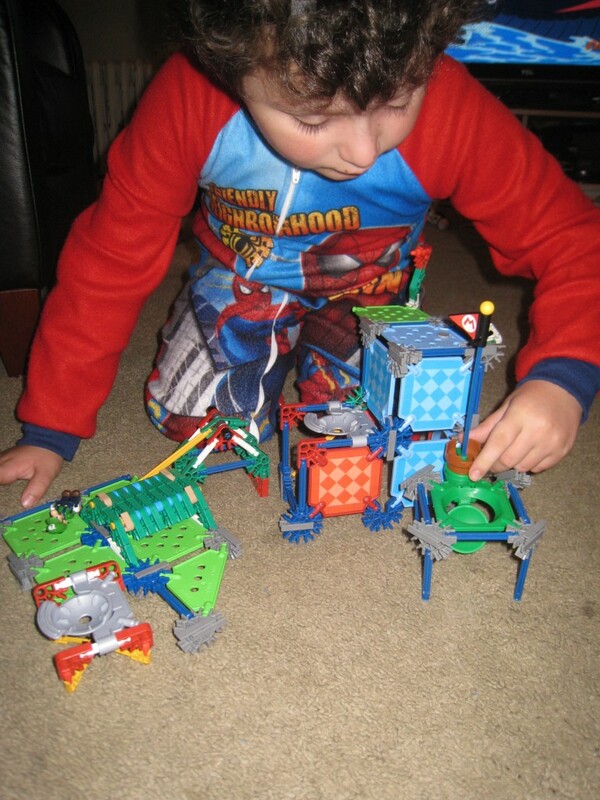 He is a huge K’Nex fan and loves to build things and use his imagination. I am excited! I hope I win the prize. I will give it to my grandson! I would give it to my son. He loves building sets and would enjoy this. I’ll be giving this to my son Damian, who loves to build things, as well as take things apart! This would be for my daughter, who absolutely loves building things. I am excited! I hope I win the prize! My daughter loves building things and putting things together. I am excited and hope I win! i would love this for my daughter. she loves to build things, this would give her hours of fun. I want to win this for my grandchild, she would love it. I am excited! I hope I win the prize. I would give this to Alysia. I know you might think of it as a ‘boy’ toy, but she loves to build things like this. I am excited! I hope I win the prize. I am excited! I hope I win the prize I would love this for my nephew! My two boys love K’nex! They would share this and have a blast! it would either be for my daughter or my cousin. I would give this to my grandson, Liam. He is 3 years old and almost 4. He loves to build things too. I would bless my son with it. I’d like to win for my kids, something fun for them to do together. I think that would be great for them! I’d like to win this for my nephew. I am excited! I hope I win the prize. Thanks. If I won I would give this to my daughter! She would love to find this under the Christmas tree! I’d give this to my son. It would be a christmas or birthday gift. I would give this to my son! He loves any kind of building sets! I will give this to my niece. She has a birthday coming up and is a big fan of K’nex. I would love to give this to my son. He would be so excited! My son would love this. Thank you for the chance. I would give this to my son! This would make a great Christmas gift! I would give it to my son who has been asking for some KNex. He enjoys building things. I would give this to my two little ones. They love building with K’nex. Thanks for the chance to win! I’d like to give this to my nephew. He love to build. My boys would enjoy this. They love to build. Thanks for the chance to win!! My boyfriend would actually love this, and I need all the help I can get with the holidays. Thanks so much for the chance! Awesome giveaway!! I would give this to my son. He loves building and creating new things. We love these! If I win I will give it to a little boy of a family friend. I would give this to my oldest son. Thank you. I would give this to the older of my two sons. He loves building and has a crazy imagination. Thank you for the opportunity! I would give it to my daughter. She and her father would have a great time putting these together. Thanks for the chance. My little one would love these, he loves to build!! Both my son and daughter would love this toy. It looks like a lot of fun! If I win this giveaway, I would give it to my son, he would love it! HE loves building things. I would love to win and give these to my daughter. She loves building and creating things! My niece and nephew are fans of K’Nex. I wasn’t aware of these sets. They will love them! This would be a gift for my nephew. He’s just the right age for K’Nex. I would give it to my 3 kids! I never had Knex when I was a kid but I bought my brother a roller coaster set when he was in high school- it was cool! this would be for my son AND daughter because they love to build things and create new toys! I would love to have to give to my nephew and I am real excited to win this! Thank you for the chance! i have twin nephews who would love this. I would most likely give this to them. Thank you for the chance. My grandson loves to build with Knex, I would give it to him if I win. Thank you for the chance! I’d give these to my daughter and son. They’d love it, I’m sure. I would give these to my son. He loves to build things. I’d give this to one of my son’s friends for a birthday party! There are so many these days! Thanks for the giveaway! I would give this to my nephew! He loves Knex!! Thanks for the great giveaways. I am excited! I hope I win the prize. I will save the prize for when Little people come visit I have something for them to do. I am excited! I hope I win the prize. It would be for my two boys. I love K’nex-Kids learn a lot from them. I would love to win this prize. My husband and I try to sponsor several children each Christmas thru the Salvation Army Angel Tree. This prize would be great. I am excited. I hope I win this prize. It would make a great donation to Toys for Tots. I would love to win for my son, he loves building things too! I would give this to my nephew. He loves Legos and I think he would love these too. I have 3 sons that LOVE to build things. This would be a great addition to their tons of legos! I will give this to my grandson. He loves to build things. I would give this to my nephew. He’s really into Legos lately and I know K’Nex work with Legos so he could play with them together and make all kinds of crazy stuff. I have a number of young nephews who would totally love this.